Thalaivar is back! Petta is the title of superstar Rajinikanth's new film. This would be the Rajinikanth's 165th film. The makers of Petta announced its title and unveiled the first look on Friday evening. The first look features Rajnikanth entering a church, holding a candelabra. He is seen wearing dark shade shirt, trousers with a shrug over it and sports an angry look. The Karthik Subbaraj-directed Petta appears to be an action film. Rajinikanth is believed to be playing the role of a school warden and actress Simran is paired opposite him. Other actors like Nawazuddin Siddiqui, Vijay Sethupathy, Trisha Krishnan are also in the cast. Needless to say, Petta soon found the top spot on Friday's trends list. 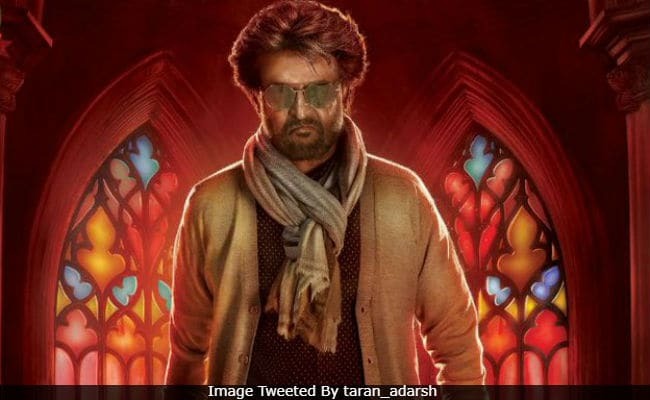 "Thalaivar 165 is Petta," tweeted Sun Pictures while sharing the motion poster of Rajinikanth's film. Take a look at Petta's motion poster here. Here's the poster of Petta, featuring Rajinkanth. Quoting Karthik Subbaraj's tweet, actor Dhanush, Rajinikanth's son-in-law wrote, "Vaa thalaiva. Congratulations and all the very best to the lucky cast and crew." Of the film, S Shriram an ardent Rajinikanth fan over the last 35 years said, "The first thing is we like is our Thalaivar is with a smiling face in this poster. Posters of his last two films showed him angry. This is colourful, different and shows him very handsome". Petta marks the Tamil debut of Nawazuddin Siddiqui. His role in the film was confirmed a couple of months ago. Filming of Petta has so far been largely done in Darjeeling and Dehradun. Shooting began after the 67-year-old superstar announced his political plunge on his birthday in December. The team is expected to wrap up the shooting by the end of this year. Vijay Sethupathi apparently plays the antagonist. Petta's ensemble cast also includes Bobby Simha, Munishkanth, Sanath Reddy and and Megha Akash. Petta is expected to release next year. Meanwhile, Rajinikanth's next film is 2.0, a sequel to 2010's Enthiran (Robot in Hindi). The film's teaser will be out next week while it releases on November 29. 2.0 also stars Akshay Kumar.